Polish composer Zbigniew Preisner started out by studying philosophy and history at the University of Krakow. It was only after graduating in these subjects that his interest in music took off, and he started to study music seriously. His self-taught, individual sound was noticed by film makers for its romantic nature and ephemeral often haunting melodies, and it wasn't long before he met director Krzysztof Kieslowski and script-writer Krzysztof Piesiewicz and scored their film "No End". The partnership then continued with "Decalogue", a 10-part TV drama series which won awards at Cannes, and "The Double Life of Veronique" which follows the strangely linked lives in Weronika in Poland and Veronique in Paris. Preisner sometimes scored these films using the pseudonym Van den Budenmayer, a fictitious Dutch composer. The partnership also created the film trilogy "The Three Colours". 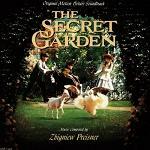 Around this time (the early 1990s) Preisner was also asked to score The Secret Garden a family film set in England, and produced a score which easily matches the haunting cinematography and central performances including Maggie Smith. When the director died in 1996, Preisner released his first large-scale orchestral work "Requiem for my Friend" in his honour. The composer's latest project is called "Silence, Night & Dreams". While an Album of this music had previously been released, the UK Premiere of the work was given at the Barbican Theatre in London on 2nd December 2007. For more information see out preview of Silence, Night & Dreams. There is a piano sheet music book full of film music themes by Zbigniew Preisner. This book is a great way to discover more about the composer's work, and is available at this link on the Music Room website. Also available is a book with a selection of music from the "Three Colours Trilogy". This is available from both Music Room and Sheet Music Plus. The Double Life of Veronique - the soundtrack features Preisner's haunting music labelled as "Concerto in E Minor"